Damaris regularly tours with The Young Wolfetones, to see her schedule please click here. She has made a major contribution in popularising the Banjo in counties Meath, Monaghan & Cavan for playing and performing Irish Traditional Music. Her talent and ability is always in demand. Damaris has performed an extremely hectic touring schedule over the last number of years across the World with various groups (including the Irish Spring Tour, Germany) North America, Australia and Canada. 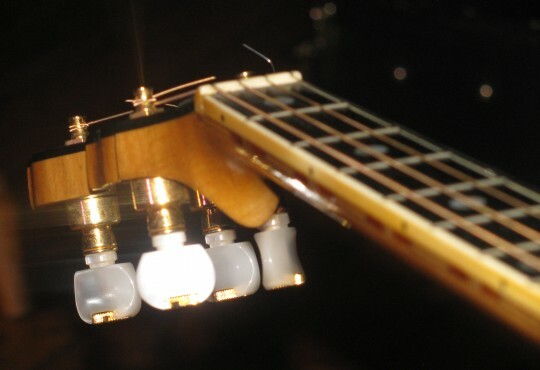 She has made many guest appearances at festivals in Finland, Portugal (including the prestigious Celtic Colours Festival in Cape Briton Canada). Damaris has appearances on many radio and television shows including The Late Late Show, Geantrai, The Fleadh Programme and most recently on The Exiles Return (CBC, Canada). She has performed with Derek Warfield over the last number of years and her banjo playing has become an essential sound of Derek Warfield & The Young Wolfe Tones. Damaris is a gifted music teacher on a range of instruments to a broad spectrum of ages and many of her students have been prominent prize-winners in competitions over the last number of years. On an annual basis Damaris organises a hugely popular traditional arts camp in Co. Cavan – “The Ag Seinm Traditional Arts Camp”. Over five days, over one hundred and twenty students aged between 5 and 70 years enjoy workshops in a range of instruments, song and dance with tutors within a context of fun. Despite a hectic schedule of performing, touring, recording and broadcasting, Damaris will not compromise her students; such is her immersion in the traditional Irish music culture and her boundless commitment to passing on the music to the youth and this commitment is reflected in the musically unique “The Damaris Woods Banjo Minstrels” this brilliant ensemble are a true reflection of her dedication to her tradition are in fact are a group of 15 outstanding banjo players all tutored by Damaris herself over the last number of years. Not surprisingly since good news travels fast, Damaris has been much sought after to teach at many traditional music summer schools and true to form, despite her hectic schedule she still manages to find time to teach at the Joe Mooney Summer School in Drunshambo every year as well as The University of Ulster Coleraine. Damaris has also featured on a number of recordings such as Songs For The Bhoys and The Bonnie Blue Flag (Derek Warfield) and Damsha Ceol Don Cheildi (Brian O Broin) . Damaris also performed form many years with a band called “Coisir” – featuring Jim Woods on accordion and bodhran and Gerry Tully on vocals and guitar. Coisir released their debut album “On the Right Track” in 2004 to rave reviews. 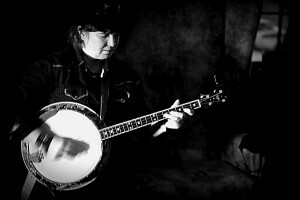 Damaris has recently released her first solo album “With A Banjo On My Knee” featuring Jim Woods, Ciaran Tackney, Luke Ward, Derek Warfield, Alan Murray, Fintan Warfield, Ciaran O’Muiri, Mairtin O’Muiri, Barry Leonard, & many other guest musicians. Damaris has also been highly involved in the production of “Derek Warfield & The Young Wolfe Tones” recordings namely “The Night is Young”, “On The One Road” & “Far Away in Australia”. 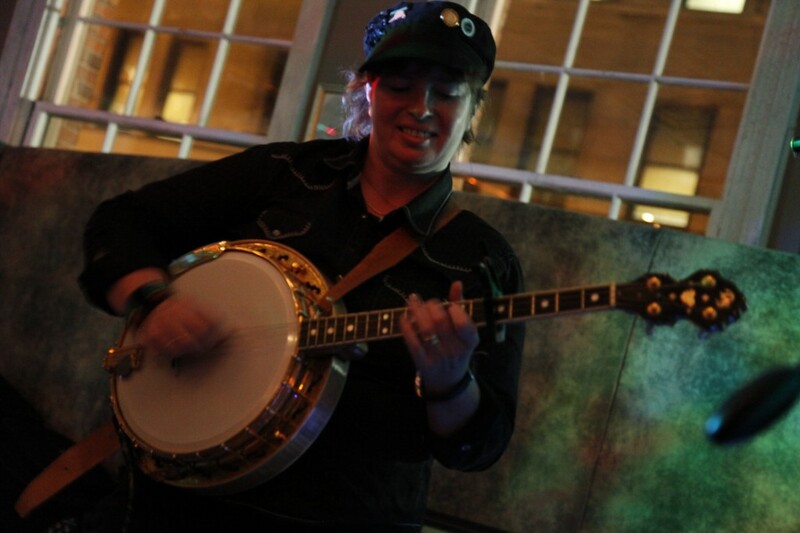 Damaris has been performing with Derek Warfield & The Young Wolfe Tones since their inception in 2008 where her banjo playing has become an important sound to Derek Warfield & The Young Wolfe Tones.